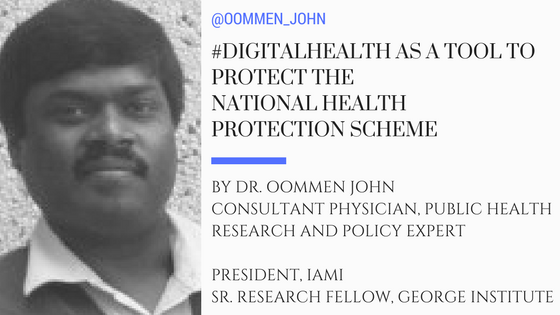 Digital Health would have a pivotal role towards efficient implementation of the National Health Protection Scheme announced in the #budget2018. Healthcare related costs is one of the leading cause of impoverishment in India. 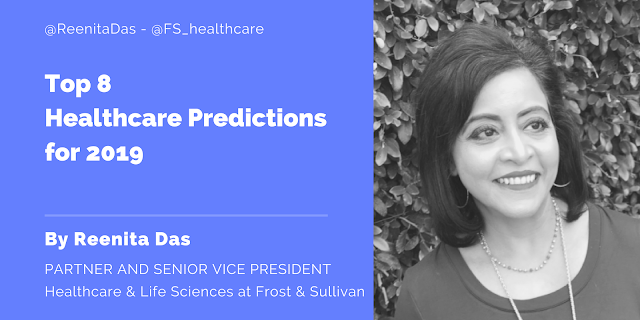 In recent times, there has been a growing "trust deficit" between the consumers of healthcare services and the care providers. In May this year, India had tabled a resolution at WHO for mHealth, which was supported by over 30 nations. 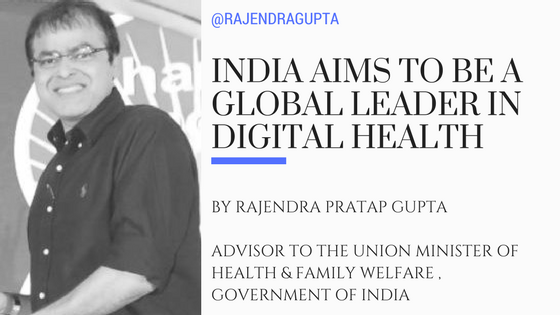 This clearly signals India intent to be a global leader in Digital Health. 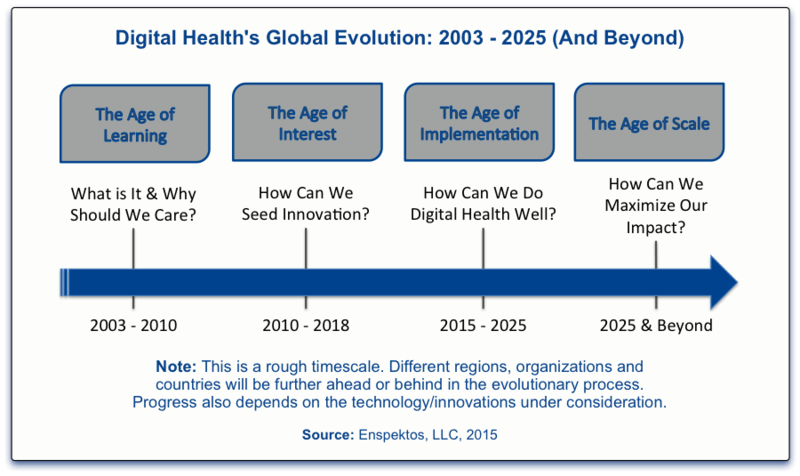 Digital Health has the potential to revolutionize how populations interact with national health services and also strengthen health systems and will play an important role in preventive , promotive and curative health. India is now embarking on a futuristic journey to bridge the healthcare divide between have’s and have-nots using digital health tools. We have a number of projects that will extensively deploy technology . Dhanvantri Aarogya Saanchara Sevaa: A Mother and Child care Management System developed as a mHealth (mobile app) platform to enable the FLWs and subscription members to be updated and informed via Alerts, Reminders, Data Capture and Analytics. The DASS system will enable the smooth interlay of the existing governmental machinery with the m-Health capability to deliver focused result oriented outcome based solutions in the rural parts of India. DASS has all the potential to demonstrate the capability of m-Health solutions around low cost phones in aiding the fulfilment of Millennium Development Goals (MDG) and the #DigitalIndia initiative. The DASS system proposes to be used to create an Alerts, Data Collection & Registry, Location and Data Analytics platform for the subscribers of the DASS system. The framework proposes to build the DASS system to incorporate services as a mHealth app. These services are proposed to be covering various aspects of the public health programs. As a first step we propose to use the DASS system to create a Mother and Child welfare framework that will allow the “connect” to be established between the Frontline Healthcare Workers, Healthcare Services and the Women patients who have subscribed to the program. We propose to capture the location for all the services to enable the data aggregation and collection to contain the location specific information. We propose to use this information to deliver location specific services. We have envisaged the Dhanvantri Aarogya Sanchar Seva’s Mother and Child services to be categorised under the Ante-Natal Services, Peri-Natal Services and Post Natal Baby and Mother Health services. Under the proposed system we envisage a list of services to be built for the 9 month period of the pregnancy. 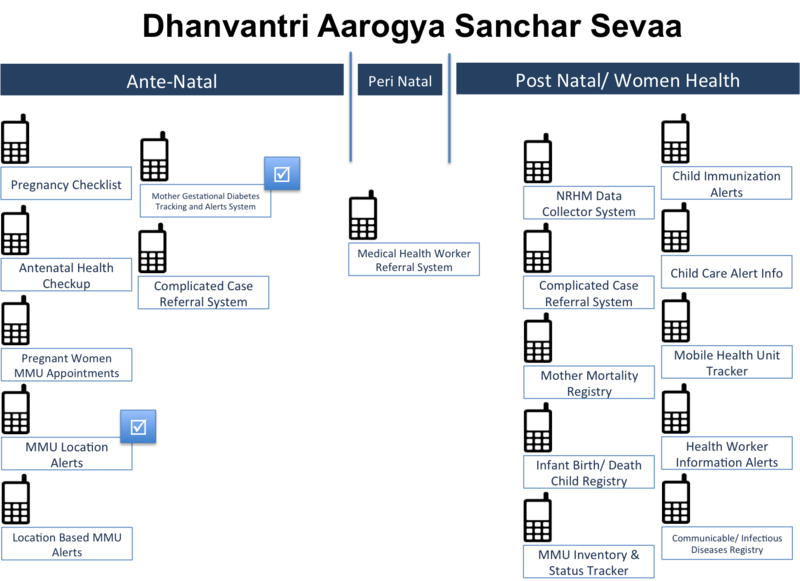 The list of services we propose to cover under the DASS - ANTE NATAL Mother and Child Services are elaborated below. 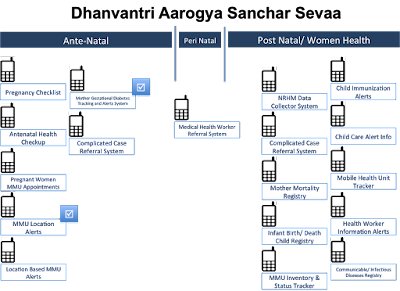 The Pregnancy Checklist service provided by the DASS system proposes to allow the health worker to create templates comprising of various tests, pregnant mother care, schedule of visits to the doctor/ healthcare worker, the patient information alerts that are generated on a daily basis and based on the current stage of the mother’s pregnancy. Once the template has been created by the healthcare workers, the same will be released for the location based services to be delivered for the patients subscribing for the services. For the pregnant mothers who are identified with having gestational diabetes, the DASS system will allow the patients to subscribe to the service. Once the patient has subscribed to this service, the system will start sending alerts regarding the specific condition of the patient. Also the system will allow the patient to record specific parameters as defined by the checklist created for mother’s with Gestational Diabetes. We propose to expand the DASS system’s “specialised” services by incorporating other services as required. The DASS system’s Antenatal Health Checkup Alerts system allows the delivery of reminders to the patient about the dates (based on the patient’s pregnancy stage and the EDD captured at the time of registration to the DASS system) when the patient needs to go to for the health checkup. In case of a complication being identified in a patient’s pregnancy, the FLW will raise a request for additional care and refer the patient to a more specialised care at a well-equipped healthcare facility that can handle the case of the patient. The details of complications and the referral locations will be identified and uploaded in the system allowing the FLW to capture this information and generate the referral request. once the mother has registered with the DASS system, the system will keep track of the location of the patient. Whenever a MMU (Mobile Medical Unit) is available in the vicinity of the location of the patient, the system will aggregate the list of patients within an 'X' mile radius of the location. Once the list of patient’s have been identified by the system, the DASS system will send alerts to these patients, informing them about the availability of a MMU in their specific location by providing the patients with the date and time when the MMU available. The purpose of the MMU location alerts is alert the patient population in a particular location about availability of the MMU in the patient location. This will allow the patient’s with specific needs to approach for specialised care for any complications etc. Additionally the MMU location alerts are going to be used for providing the FLW with the visibility on the current location of a MMU at any given point in time, by typing a simple coded message. Once the FLW receives the message regarding the location of the MMU, the FLW could “forward” the same message to patient’s registered for the service in the location. The DASS system proposes to alert patients about the availability of the MMU in a specific location to the registered FLWs in the location. This information will be used by the FLW to inform patients. Additionally, the system will also allow for the delivery of these alerts to patients registered in the DASS system as unsolicited information informing them about the MMU in their area. The DASS system will allow the FLW to generate and alert specific healthcare facilities to take referrals made by the FLW for patient’s in critical and urgent need of specialised care because of any complications during birth. Once the Child has been born, the information will be updated in the system regarding the date of birth of the baby. Once the date of birth has been registered in the system, the DASS system will generate alerts based on the age of the baby about the vaccination schedule. The FLWs, MMU and the parents of the child will have the ability to update the administration of the vaccination to the child. This information will also be used to update the Data Analytics aspect of the DASS system. The DASS system will be used to send information regarding the various aspects of the child care to the mother. These alerts will be used as primary child care options by the FLWs to inform and educate the patient’s in their specific locations. The DASS system will allow the users to create these alerts specific to their respective locations. The DASS system will also be used to send important alert information to the FLWs regarding various aspects of the DASS services, new options in the system, new protocols of care for the mother and child, alert messages to the FLWs regarding their village, district, state level meetings, availability of the MMU in their locations, etc. While creating and using the DASS system, we propose to align the platform to have the ability to generate analytical reports that can be used by the NRHM personnel for their monthly reporting of data collected during specific time frames. With this ability the DASS system will allow the users of the system to have a real-time and up-to-date information database for relevant reporting. This service in the DASS system will allow the users to record the birth or death of an infant. This information will be logged into the system to enable or disable the alerts for a particular mother, to ensure relevance of the messages and alerts sent to the mother/ FLWs, etc. In the unfortunate event of a complication at birth, the DASS system will allow the users to update any mother related unfortunate outcome. Each time a vaccination has been given to an infant, the system will update this information in the database. The information captured in this registry will allow the users to report the child immunisations performed based on the location (district/ village/ state etc). The DASS system will have the CIDR service which will allow the FLW to identify an outbreak of any disease in a specific location. Based on this information, relevant alert messages can be sent to the FLWs to organise correct responses from the local government agencies to this outbreak. The DASS system will allow the users to define the trigger criteria for generating the alerts from the system. The DASS system is proposed to be a modular system, thus allowing relevant services to be enabled to various FHWs based on their expertise and area of work, based on an authentication and authorisation functionality within the system. For instance, the Gestational Diabetes (MGDTAS) module can be used as a standalone app to capture the occurrences of gestational diabetes in a particular location. We also propose to link the Patient Registration modules within our proposed system with the Aadhar system to identify beneficiaries and patients being registered within our system. This will allow integration with existing systems thereby reducing the data duplication across multiple systems.